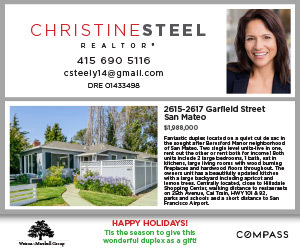 Located just 15 miles south of San Francisco, the City of Burlingame is a tight-knit, family-oriented community nestled in the heart of the Bay Area. At 6.06 square miles, the “City of Trees,” as it is known, radiates small town charm while maintaining an energetic atmosphere. Burlingame has a rich history. In 1776, the first European contact was made in the area by the Juan Bautista de Anza expedition. Spanish missionaries began developing the land as a farm to support their mission in San Francisco. With Mexican Independence being established in 1822, the land that Burlingame occupies was secularized and was part of the Rancho San Mateo land grant. William Ralston purchased some of the land that Burlingame now occupies in the 1860s. Anson Burlingame, the city’s namesake, visited Ralston’s estate and loved the area so much that he bought an estate of 1,043 acres to retire on. After Burlingame’s death in 1870, his estate came into the care of Darius Ogden Mills, who then sold it back to William Ralston in 1872. After Ralston’s death, his land was passed to his partner, whose son-in-law Francis Newlands began subdividing the land. 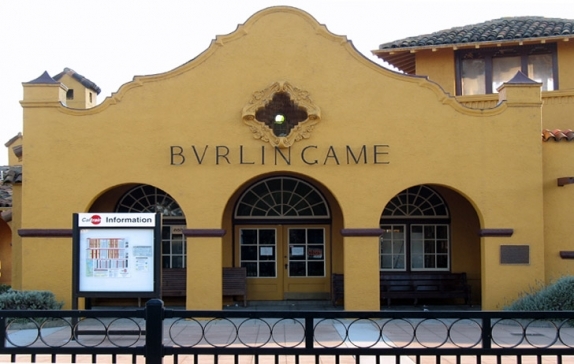 He commissioned the Burlingame Country Club in 1893, quickly followed by the Burlingame Train Station in 1894. The first two businesses opened in 1901. Growth was slow until 1906, when the San Francisco Earthquake sent scores of people down to the peninsula searching for safe housing. Burlingame was incorporated in 1908. One of the first things that one may notice when visiting Burlingame for the first time is how strong of a community the city has. There are a multitude of ways to get involved in the community, including various volunteer programs throughout the city. In May 2004, the City of Burlingame adopted the Bravo Unit, 1/327 INF, 101st Airborne Division from Fort Campbell Kentucky. Volunteers can send donations and attend care package boxing events. For kids looking to volunteer, the Leaders in Training program offers the opportunity to assist in facilitating programs for youth camps. Community development is very important to Burlingame too. The city has an outstanding sustainability program that encourages community involvement in making the city more eco-friendly. Burlingame also has a community driven program called Neighborhood Network. This program provides useful information and creates a community wide disaster prevention and relief plan in the event of a major disaster. Those looking for entertainment and recreation will find it in abundance in Burlingame. Burlingame has 13 parks and playgrounds for play and relaxation, along with 2 wildlife areas to explore. During the summer months, popular Washington Park hosts movie viewing and live music for the public. Burlingame also hosts an excellent Recreation program for children and adults of all ages and offers great options as far as leisure activities go. One can visit exciting Burlingame Avenue for a variety of great shopping and dining options. Those looking for a downtown feel with a bit of a quieter atmosphere, Broadway Avenue offers dining and shopping on par with its busier counterpart. Boasting a whopping total of 35 schools, families looking for topnotch schools will have no problem in Burlingame. Families with youngchildren have a choice between the 19 preschools in the City of Burlingame. The Burlingame School District oversees six public elementary schools (Franklin, Hoover, Lincoln, McKinley, Roosevelt, and Washington), and one middle school (Burlingame Intermediate School). There is one public high school in Burlingame (Burlingame High School); it is within the San Mateo school district. Burlingame offers several K-8 options with seven private elementary schools. There is one private high school in Burlingame – Mercy High School. 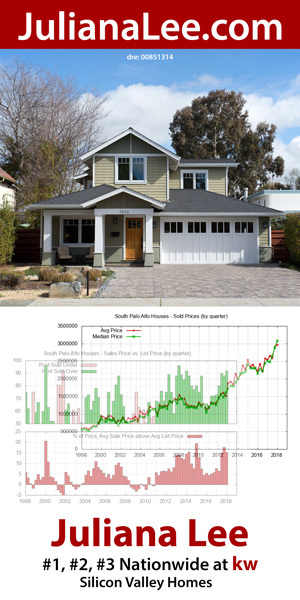 The median price for a single family home in 2016 was $2.05 million. 63% of residents are married, with 37% being single. 58% of residents own homes, while 42% of residents rent. Burlingame is conveniently located close to SFO and to the Millbrae BART station, making it ideal for commuters. There is also a Cal train station located in the heart of the downtown area. 85% of residents commute by car, with 12% commuting by public transportation, and 3% commuting in a different way. Burlingame's famous "Auto Row," located between Peninsula Ave and Howard Ave, has been a city staple since the 1920s. A newer “Auto Row” is located between Carolan Ave and Rollins Road. Burlingame is home to the world famous Pez Museum, created in 1995.